Summary: A recent survey of community banks and credit unions by Safe Systems finds 33% of respondents said managing and responding to regulations has become their greatest IT challenge. We provide other insights. 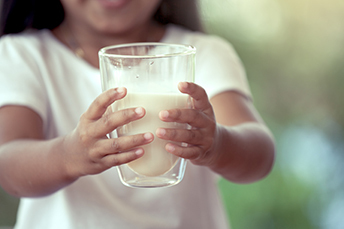 Recall the old saying that milk helps keep your bones healthy? Recent data shows people must not mind that much having brittle bones, as consumption of milk has dropped 13% in the past 10Ys. Ag banks know this all too well, as that downward pressure has also put a burden on dairy farms, leading to a 50% drop in count since 2000. As if that weren't bad enough for dairy farmers, retail milk prices are only $3.23 per gallon, which is a lower level than where prices stood some 10Ys ago. Moo-ving on to other areas of banking, today we explore how community bankers are dealing with regulators in the post-crisis world. Despite the hype around reducing regulatory burden, our conversations with community bankers often surface complaints about why there are so many audits and exams. Just how hectic has it become? A recent survey of community banks and credit unions by IT services company Safe Systems finds 50% of respondents said they were now undergoing 11-20 exams and audits each year. All told, some 60% said they were being asked to prepare 40 or more items for each regulatory event, while another 31% said they were preparing 21-40 items. Meanwhile, 33% of respondents said managing and responding to regulations has become their greatest IT challenge. Of course, this is at a time of rising cybercrime, with hackers and digital scammers regularly testing the ability of banks to detect and thwart attacks. That is likely one reason 40% of respondents said compliance pressures have fueled IT outsourcing decisions. Sadly, respondents report that all this time and effort spent responding to compliance requirements has had little impact on effectiveness. About 67% of respondents said their CAMELS scores were unchanged over the previous exam. However, at the same time, 57% said their exams had become more difficult over the same period. This is not the first report to highlight the outsized impact of increased regulation on community banks; more work remains to be done to truly have a large positive impact. If significant regulatory easing does indeed take place, it will mean community banks should have to spend less time and effort on audits and exams. That shift would be interesting to watch, particularly in the areas of possibly lower M&A, reduced staff turnover and higher profitability. The regulatory burden is slowly being removed layer by layer, it seems, so community bankers are hopeful at least. For now, it makes sense to keep your fingers crossed, as you continue to streamline processes to simplify operations, regardless of what eventually may occur. For now, community bankers will keep milking the business model cow as it exists within the current regulatory framework, as they keep an eye on the horizon for greener pastures hopefully ahead for all. Wells Fargo joins Citigroup, JPMorgan, Bank of America and US Bank, as it prohibits customers from using credit cards to buy cryptocurrencies. According to a LendEDU survey, approximately 22% of bitcoin investors could not pay off their credit card balance after purchasing bitcoins. Apple modified its developer guidelines to prohibit any apps that deplete the battery, cause too much heat or put excessive pressure on device resources. These actions are all reportedly being taken by Apple to stop people from using phones to mine bitcoin. Swiss voters overwhelmingly rejected a proposal (75% voted no) that would have prohibited commercial banks from lending more money than they had in deposits and made the central bank the source of new money. Easing regulations and a stronger economy are key reasons why some 60% of economists surveyed by the Wall Street Journal expect moderately stronger growth in the medium term. Of note, 33% said they didn't expect any economic growth effects from regulatory rule easing. The deputy governor of the Bank of Italy said central banks are not ready to handle cryptocurrencies. He said some of the major issues around cryptocurrencies are that they are a liability belonging to no one, there is no asset that backs them up and there is no clear governance structure. According to a new study by Harvard Business Review Analytic Services, 55% of business executives said that their company's digital tools and platforms play a role in whether applicants accept a job offer or not with the company. Some 51% said that outdated and insufficient technology affects employee retention.